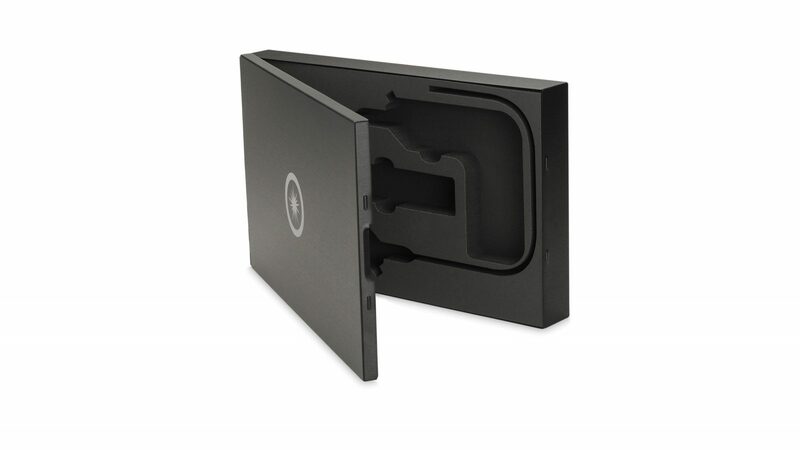 Working directly with a Product Manager at Avinger, a designer and manufacturer of precision medical instruments, we created a series of custom anodized aluminum clam-shell boxes that could be used by their sales people around world to hold and present samples of their products. The instruments are held in place with a complex system of foam components which we engineered and produced in‐house. The requirements of the project, including a fast turnaround, a tight budget, a cool look and total functionality, were all met with this design.